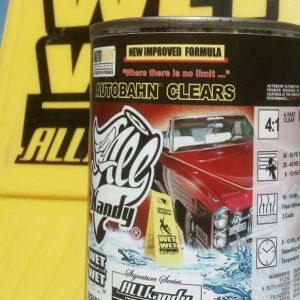 We carry both All Kandy by Autobahn AND Tamco Brand Quality Paints. 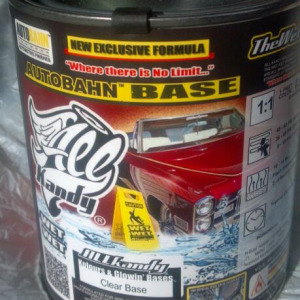 All of the urethane paints we carry are of the finest automotive quality and will provide years of protection. These wet paints shipped free by the manufacturers will always be fresh and of the highest quality. Tamco Logo. One of the quality wet paints shipped free by Paint With Pearl. 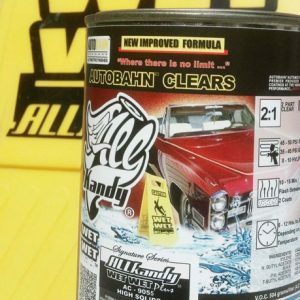 Autobahn Logo for All Kandy Paints. One of our wet paints shipped free. Always FREE SHIPPING on this product. Choose between Gallon Kit, and our Quart Kit of this quality base coat clear for mixing pearls, candies, etc. FREE SHIPPING - Choose between Gallon Kit, and our Quart Kit of this quality base coat clear for mixing pearls, candies, etc. FREE SHIPPING - Choose between Gallon Kit, and our Quart Kit of this quality Wet Wet PLUS with extra UV protection (a high solids formula).